Get started in chain mail or learn a new weave. The helm weave works up quickly to create beautiful pieces. Simple yet elegant…complex yet easy-to-make…coiled wire elements are fun and interesting and offer another fascinating perspective on the possibilities of wirework. 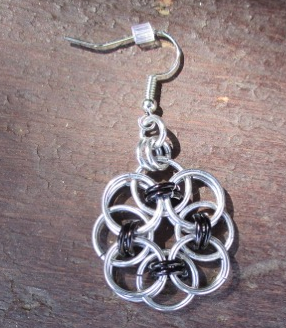 Viking knit works up into a beautiful, flexible, hollow chain that is an ideal ʻchainʼ for designing exquisite jewelry. This is a great class for determining which type of clasp to use for different projects. Beading on a loom opens up a whole new realm of possibilities for the crafty beader! This class will give you a whole new perspective on bead netting!